So the weather has been nice and warm lately and even though some days it's windy or cooler in the morning, I don't want to wear an actual jacket. So that's where a denim jacket comes into play. 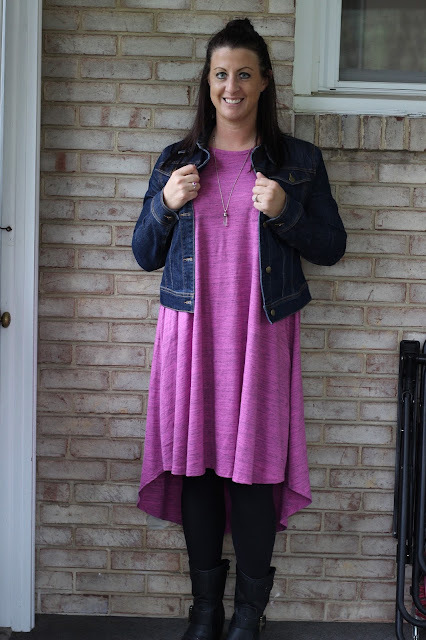 This is a LuLaRoe Carly Dress, with black leggings, booties, and a denim jacket. Simple as that. 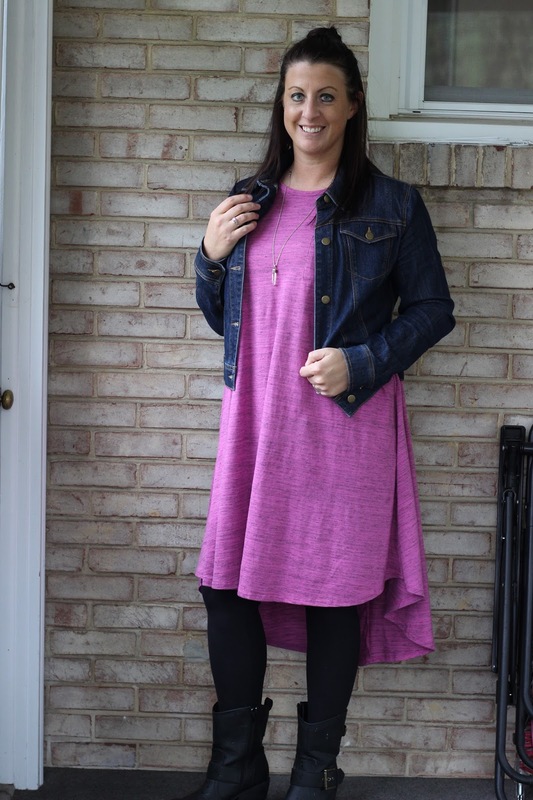 I decided I didn't need to knot the Carly because I'm wearing it as a dress, not a tunic. It's so comfortable and if I get hot I just take the denim jacket off. 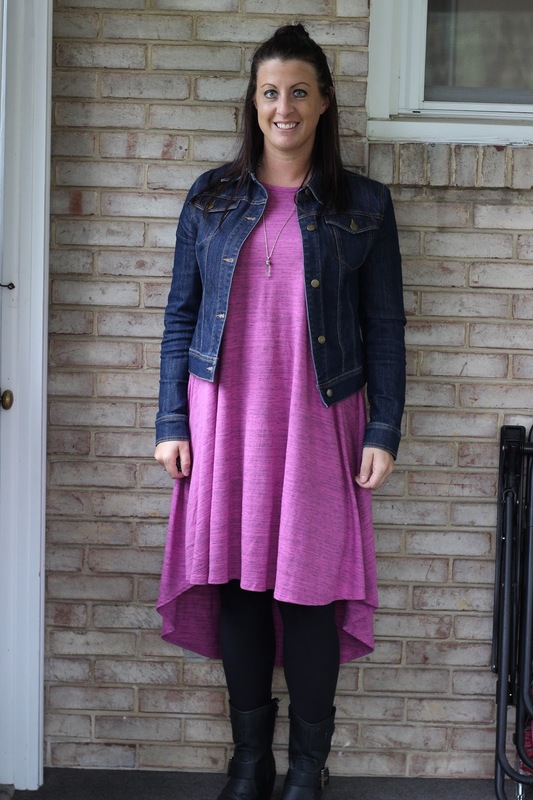 The Carly is so versatile because you can dress it up or down.